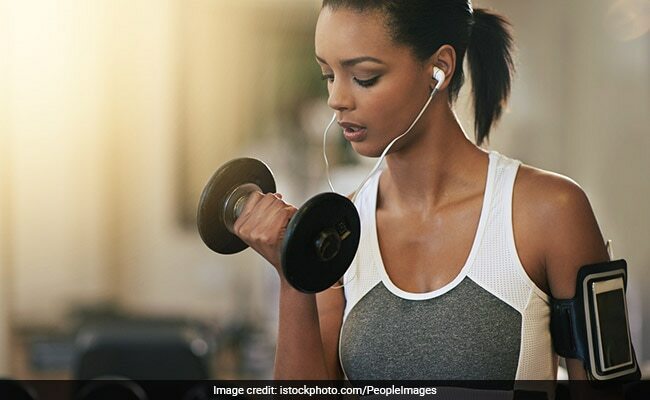 Music May Help You Exercise Longer And Regularly; Try These Pre-Workout Foods That May Help Too! Listening to music while exercising may help you work out for a longer period than those who do not listen to music. According to a study that is to be presented at the American College of Cardiology, music can have a powerful impact on our mood, signaling the brain to release feel-good and energy-boosting chemicals. Being inactive or not exercising ranks along high blood pressure, high cholesterol levels, smoking and obesity as some of the five major risk factors for cardiovascular disease. According to the researchers, on a small scale, this study provides some evidence that music may help serve as an extra tool to help motivate someone to exercise more that is critical to heart health. For the study, the team of researchers randomly selected 127 heart patients in two groups for a routine electrocardiogram treadmill stress test and assigned to either listen to up-tempo music or have no music playing during their stress tests. The results showed that the exercise time was significantly longer in the music group as compared to the control group. Adults require at least 30 minutes of moderate activity most days, including taking a brisk walk, playing outdoor sport, swimming, riding a bicycle, aerobics or just about any physical activity. While music may help you exercise longer, here are some pre-workout foods that will help you focus on exercising longer. Bananas are rich in vitamins A, B, C and E and various minerals like potassium, zinc and iron that are believed to provide energy. Bananas are known as natural power bars that make for great pre-workout snacks. Grab a banana at least 30-45 minutes before working out. Oats are packed with fibre that promote a steady release of carbohydrates in your bloodstream and therefore gives you a steady energy supply throughout your work out. Eggs contain essential amino acids that are needed by your body to repair damage to your muscle tissue that incurs through intense exercise. Nuts and dry fruits are simple carbs that can provide you with instant energy without weighing you down. Include raisins, apricots, berries, almonds and cashews. Coffee helps improve blood circulation and keeps your tissues oxygenated, which helps boost your exercise performance.